Red corn is a type of sweet corn. Its ears are wrapped in tightly bound lime hued husks with silks and a tassel that extend out from the tip. 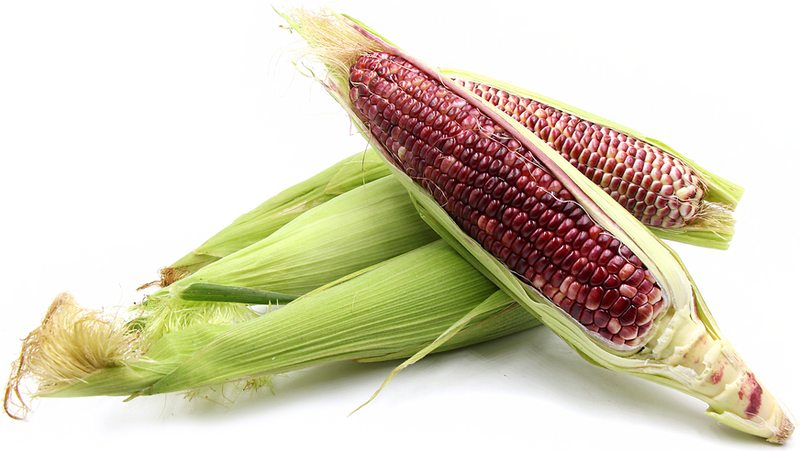 Red corn's kernels are stained with hues of ruby brick red and creamy pink tones, depending on specific variety. The cobs of Red corn are typically leaner than yellow or white and kernels and less plump in size, though this is not a reflection of the Red corn's sweetness. Red corn is exceptionally sweet and nutty in flavor and that flavor is brought out by cooking. Its texture is semi firm and the kernels juicy when young. It is very important to harvest Red corn at the proper stage of maturity. The critical time is the milk stage, when the juice in the kernel appears milky when you puncture the kernel with your thumbnail. As with all sweet corn varieties, as the corn matures, it loses its moisture, starch content increases and the kernels become tough. Red corn is available from early summer into fall. Red corn, also known as Red posole, is a member of the grass family Gramineae. Corn, known outside of English language as simply maize, is technically classified as a grain crop, though when harvested immature is considered a vegetable. Its stalks produce a cob of seeds, which are better known as the kernels, though by botanical definition they are the individual fruits of the plant. Red corn is just one cultivars among thousands of corn varieties, heirloom, hybrid or genetically modified. Some names of Red corn varieties include Bloody Butcher, Broom Corn, Strawberry Popcorn, and Ruby Queen. The red color in Red corn is created by the plant pigment, anthocyanin. The red gene is recessive, thus a high percentage of red kernels must be planted to maintain the color variation. Red corn provides twenty percent more protein than white corn or yellow corn. Anthocyanin, the pigment that creates the red color in this corn, are antioxidant flavonoids that protect many body systems. Besides chlorophyll, anthocyanins are probably the most important group of visible plant pigments. Anthocyanins have anti-inflammatory properties, have been linked to reversing nervous system damage and can also reverse affects of diabetes. Red corn contains 350% more antioxidants than common white or yellow corn. Red corn can be used in place of white and yellow sweet corn, though it does mature more quickly and can have a tendency to contain more starch than yellow and white varieties. Harvested immature and used soon thereafter, Red corn can be hulled fresh for salads and soups. It can be grilled, roasted, blanched, pureed and steamed. Red corn pairs well with tomatoes, basil cilantro, shellfish, pork, shelling beans, cream, nutty cheeses, chiles, cumin, summer squashes and citrus. It can be ground into flour for corn breads, flat bread, pancakes, tortillas and it is traditionally used in stews and hominy. Corn is native to the Americas, specifically Mexico. Wild corn was domesticated by indigenous Mesoamericans in prehistoric times. A wild grass, Teosinte (Zea Mexicana) is considered the ancestor of all known species of corn.  Teosinte grows wild in remote areas of Mexico and Guatemala. The oldest known remains of corn were discovered in Mexico's Valley of Tehuacan, and dated 2750 BC, approximately 7,000 years old. Thousands of strains of corn were developed throughout history. Red corn owes its origins to the indigenous people of the Andes in South America. Recipes that include Red Corn. One is easiest, three is harder. Someone shared Red Corn using the Specialty Produce app for iPhone and Android. 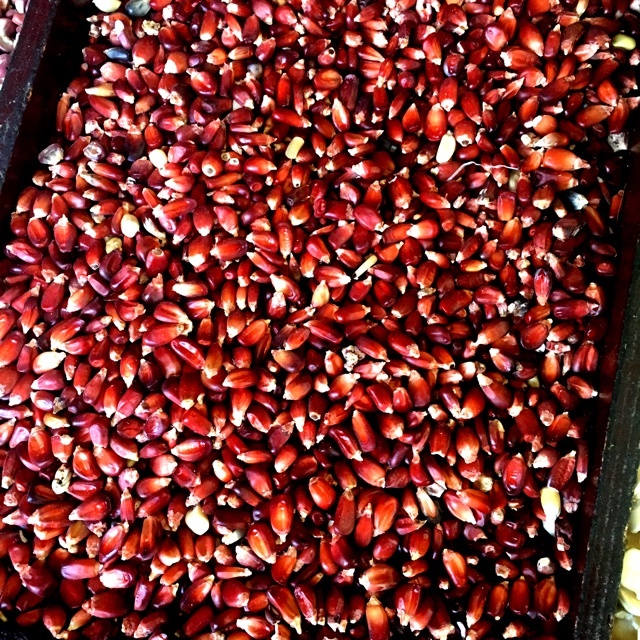 Sharer's comments : Red Corn spotted at Mercado Hidalgo.